Alex has been working as an upholsterer since the late 1980’s. He has followed the traditional path from apprentice, through journeyman and on to Master Upholsterer. Throughout his career Alex has worked with both traditional and more modern materials. He has developed products and natural sustainable seating systems for several leading national companies. During his career he has worked at many high end workshops and for National organisations in the UK and Overseas. Alex spent seven years teaching at the London Metropolitan University (now the Cass School of Art and Design) leading the Advanced Upholstery department. 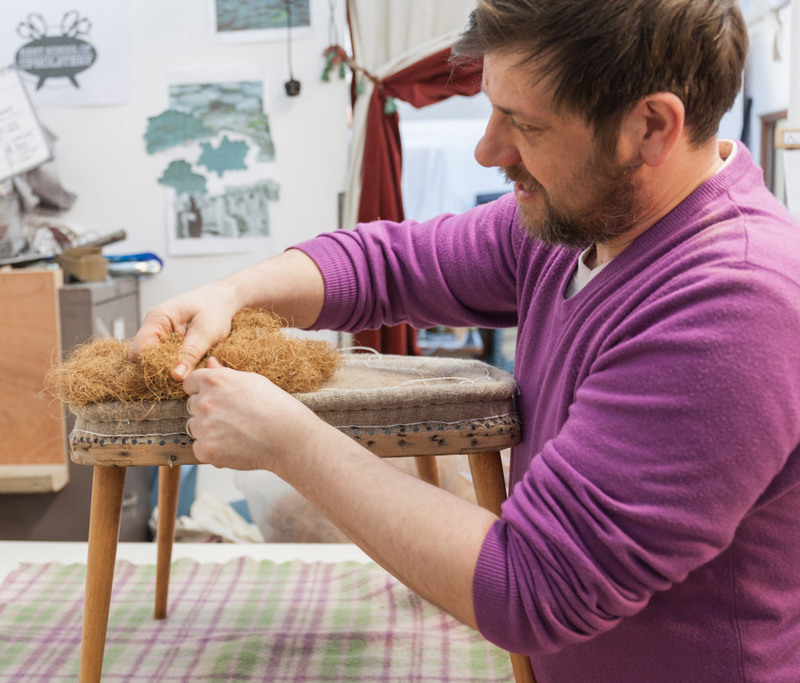 Through teaching, Alex has honed his ability to communicate the complexities of the craft of upholstery into readily understandable and achievable skills that beginners and more experienced upholsterers can follow. Alex has written two books: Quick and Easy Upholstery (CICO Books, 2008) and The Upholsterer’s Step-by-Step Handbook, (Pavillion, 2015). Enabling everyone to have access to his extensive knowledge. In 2013 Alex left teaching in London and set up the Kent School of Upholstery bringing upholstery classes back to the town where he first learnt the craft: Faversham. Now, three years on, the portfolio of classes has expanded.